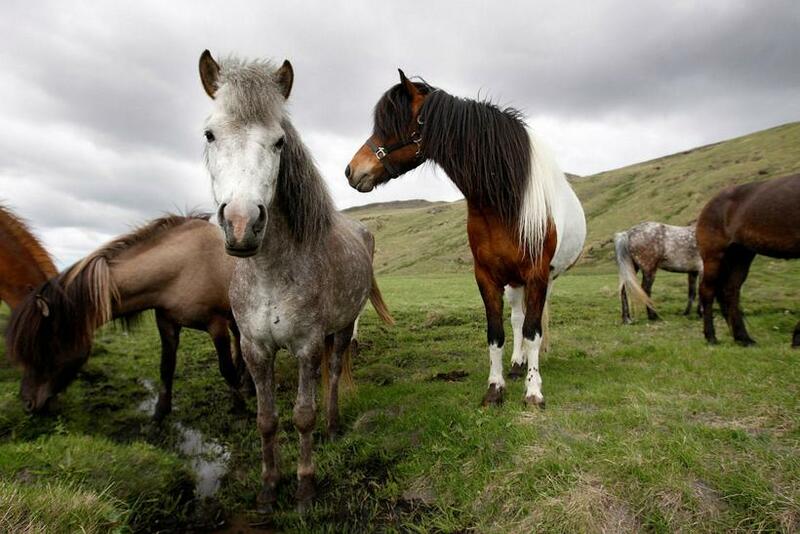 There are so many different things to see and do in West Iceland. 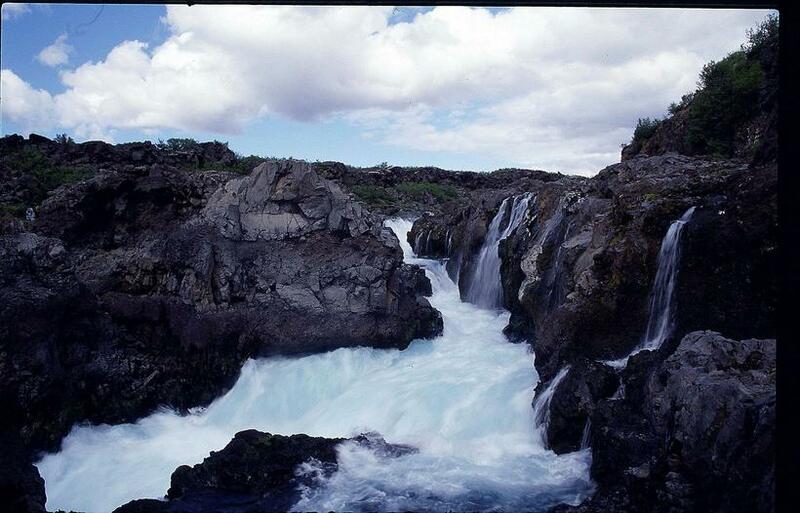 With interesting historical places, diverse nature with beautiful waterfalls, lava fields, glaciers and high mountains, you could easily stay there for your whole vacation and never get bored. 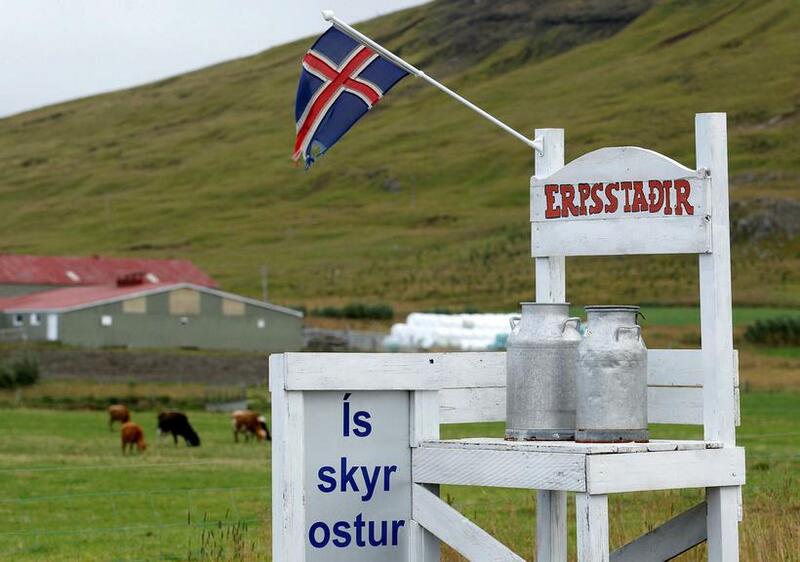 Erpsstaðir is a farm that produces a variety of goods from their own product. There you can stop by and buy ice cream, cheese, skyr and even skyr candy. 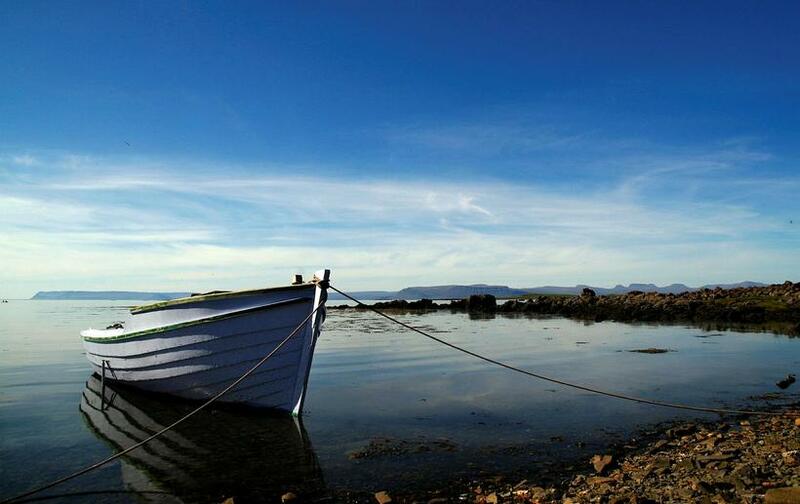 Step back into the Viking era in the birthplace of the first Viking to sail to America over 1000 years ago. 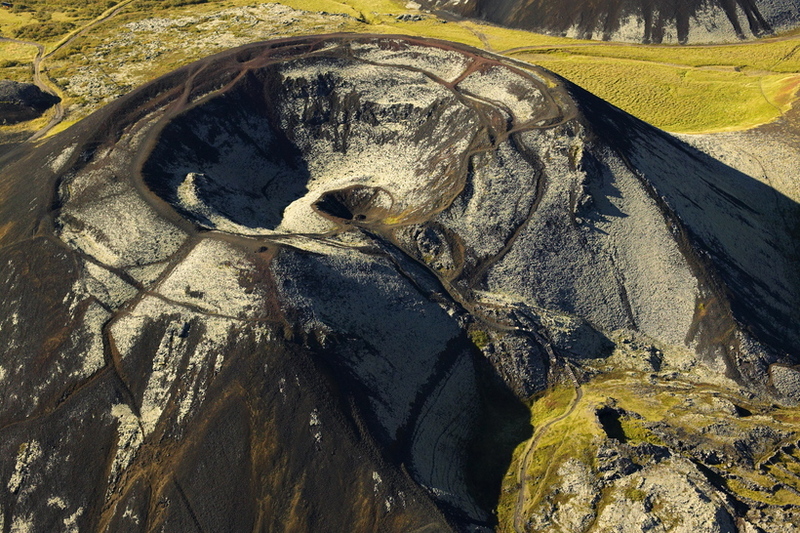 Grábrók is a 170 m high crater, mostly covered in moss. It erupted around 3400 years ago. There is a nice walking path up the crater and around it, not to steep or long which makes it a nice break when driving through the area. 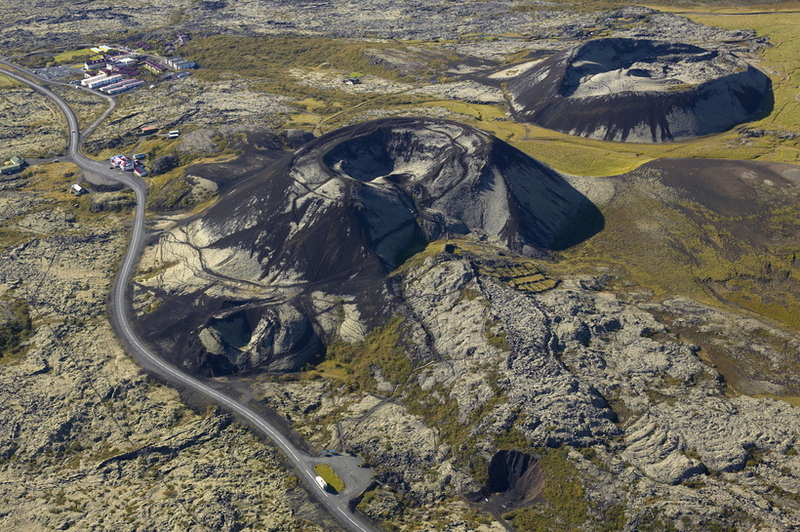 In the middle of an old lava field up in Borgarfjörður there’s a sign that says “Glanni”, which leads to a parking lot. This is close to Bifröst University, what seems like a small village 31 km north of Borgarnes. After a few minute hike on a path from the parking lot you get to a beautiful waterfall, surrounded by small, crooked birch trees. 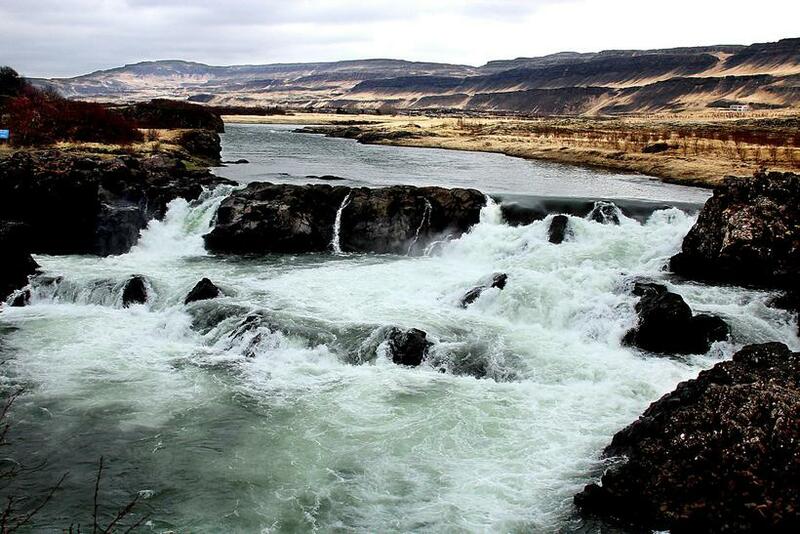 If you look closely you might see salmon jumping up the waterfall in summer, as the river is one of the most prestigious salmon rivers in West Iceland. A few minute walk in the other direction will get you to the peaceful Paradísarlaut (Paradise Hollow). Háafell is one of the homes of the Icelandic goat. 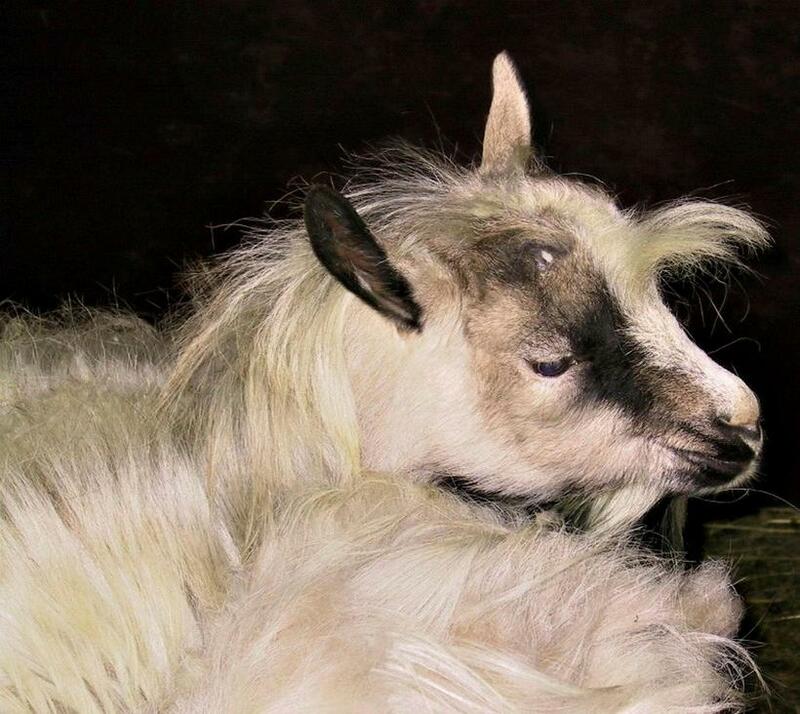 As the goat is not a popular farm animal there are very few left of it. Visitors can meet the goats and other animals in the farm, there is also a store which sells produce and products from the farm. 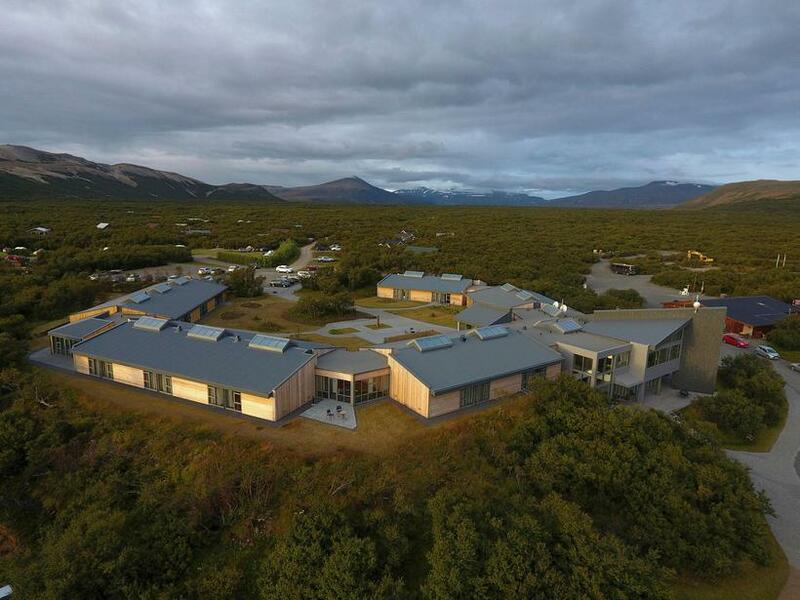 There is a pool, a small shop, and a beautiful four star hotel with a great restaurant called Hótel Húsafell, and there are a number of hiking paths of different difficulties to explore the area. Reykholt is a small village, or almost that. There is a church, a hotel and a geothermal pool named after Snorri Sturluson, Iceland most famous poet and writer in the 13th century. He wrote both Heimskringla and Snorra Edda. There you can find Snorrastofa a cultural - and medieval centre, founded in his memory. Snorrastofa manages various research projects and provides reception and information for travelers, historical exhibitions, guided tours and lectures. Books on history and culture, Icelandic handicraft and souvenirs are available in the shop. 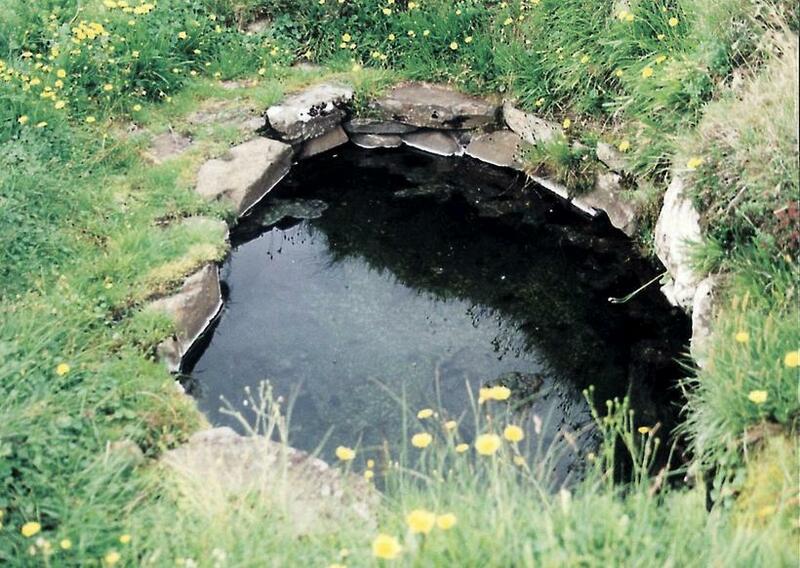 Not all the geothermal water in West Iceland is scolding hot when it reaches the surface. Some are the perfect temperature for bathing, summer or winter. The facilities differ, some are spa like while others are more natural. If you want a more family friendly soak, there are plenty of swimming pools in the area. 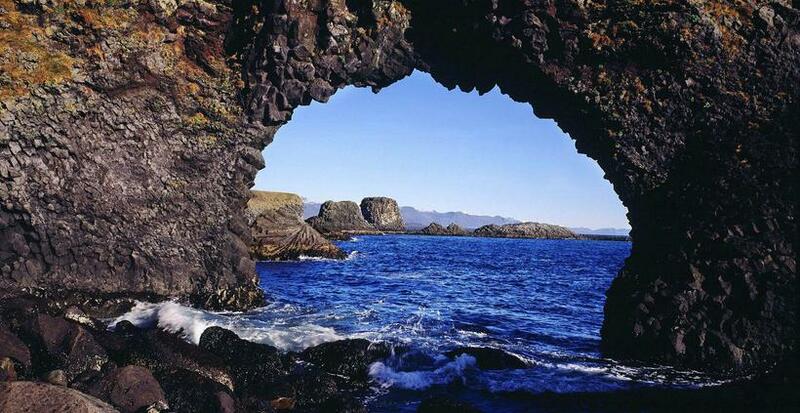 Snæfellsnes Peninsula is offers so many things to see and to, long stretches of black beaches, tall glacier and volcano, amazing rock formations, charming small fishing towns and beautiful mountains and mountain passes. 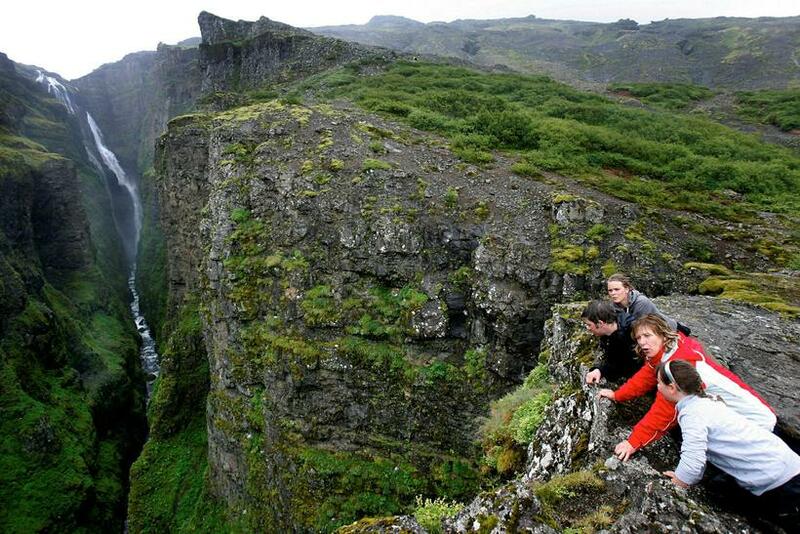 You can easily spend days there, or check out the highlights in a self-drive day tour from Reykjavik. There are many islands, skerries and stacks on the coast of West Iceland. Together they form a beautiful scenery and sailing around them is a lovely experience. You can take the ferry to Flatey Island, where there’s a guesthouse and a small village during the summer, or go sailing and even fishing or catching scallops with local tour operators. Borgarfjörður is an agricultural area, there are plenty of farms with diverse animals and crops. There are even those who specialize in working with Icelandic wool. 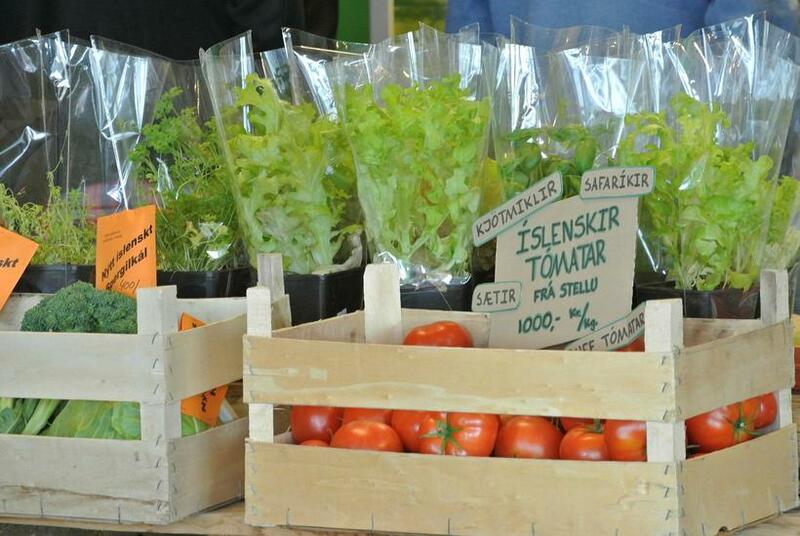 At Ljómalind Farmers Market you can discover all these things in one place, and buy a snack for the road or a souvenir to take back home. 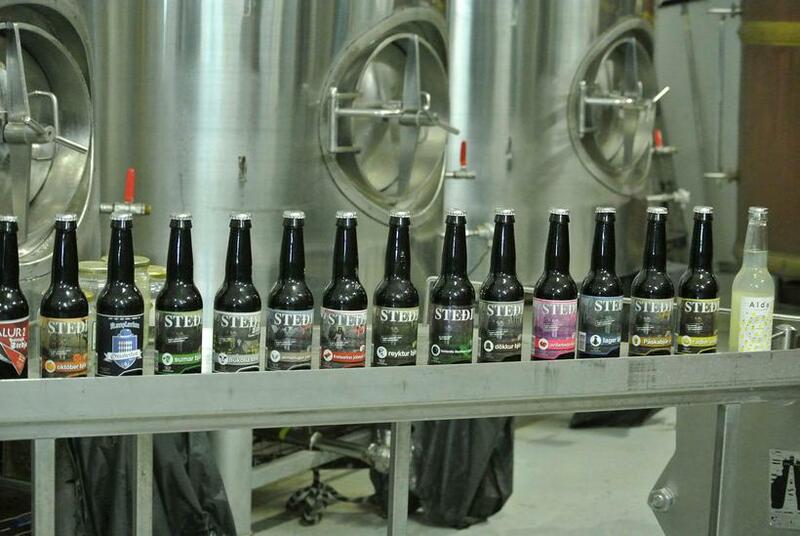 Steðji is a family owned brewery in the heart of Borgarfjörður, west Iceland. It’s a brewery not afraid to test the limits, and are perhaps most famous for their beer brewed with whale testicles. They offer tours around their brewery and tastings. 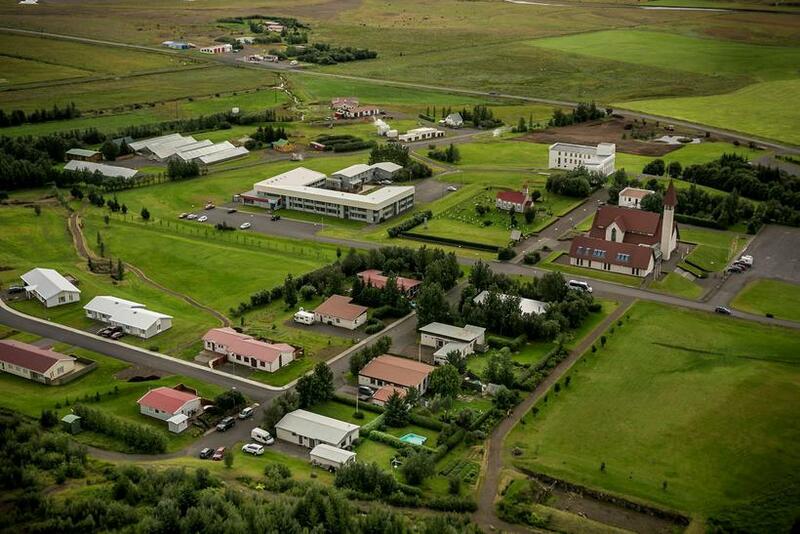 Hvanneyri is best known for being the home of The Agricultural University of Iceland. That’s not all though. There you can visit the Agricultural Museum of Iceland and Ullarselið Wool Centre. It’s a store set up by locals interested in new and old ways to use and process wool, with varied hand-made items for sale. There are a number of museums in the area, with different focus on different things. 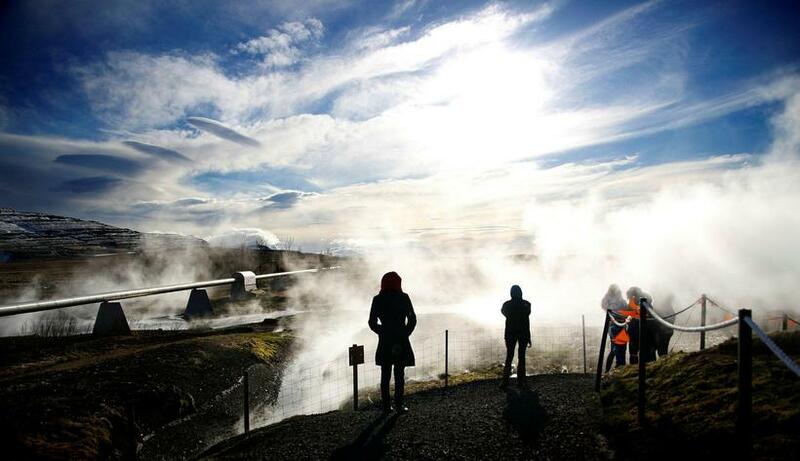 You can explore everything from the Icelandic sagas, to volcanoes, art, war and more recent heritage. Here you can see a list of the museums in the area. 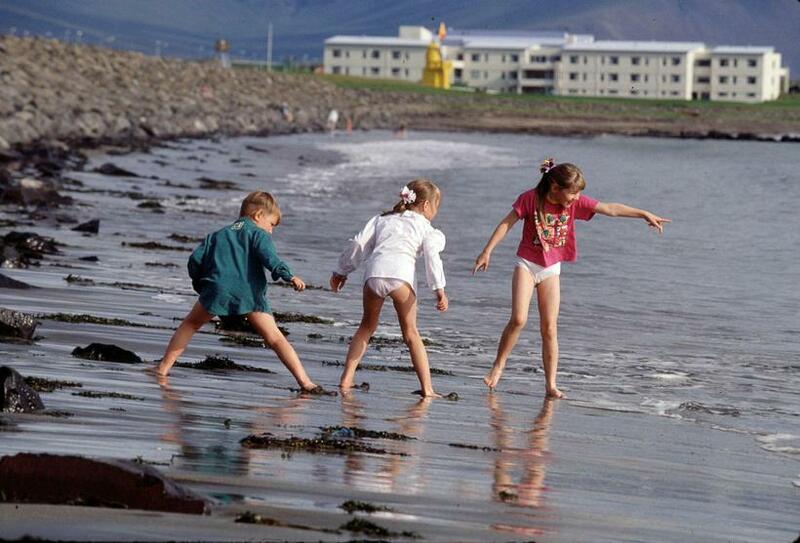 Dip your toes into the sea at Langisandur beach by Akranes on warm summer day. There are two lighthouses not far off, and the larger one is open for a visits. The lighthouses and the scenery is amazing and has inspired many photographers. If you have time, a visit to Akranes Folk Museum is definitely worth the trip. Hvalfjörður is a fjord just north of Reykjavík. There is very little traffic there as the nr.1 ring road lies through a tunnel under it. Technically half of it belongs to South Iceland and half of it to West Iceland, but let’s not focus on the small things! 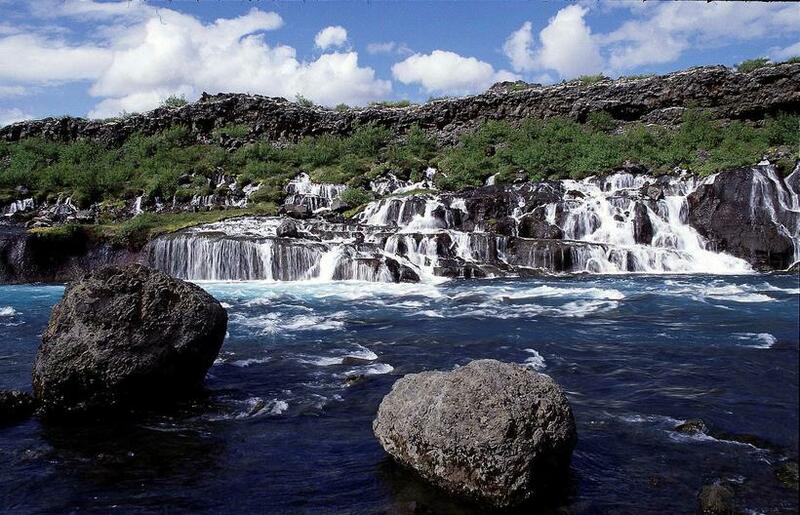 The nature in Hvalfjörður is nothing short of beautiful, with streams, rivers, and Glymur waterfall, considered by many one of the most beautiful waterfalls in Iceland, falling down a narrow ravine from a great height. 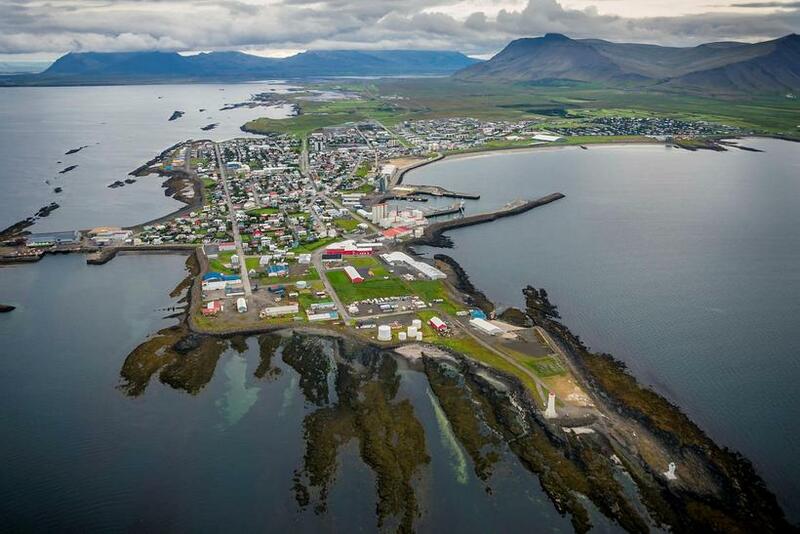 The USA army settled in Hvalfjörður and much of the buildings and remains are still there, scattered about. There is also an old whaling station there, the only one in use after whaling was allowed again in 2009.